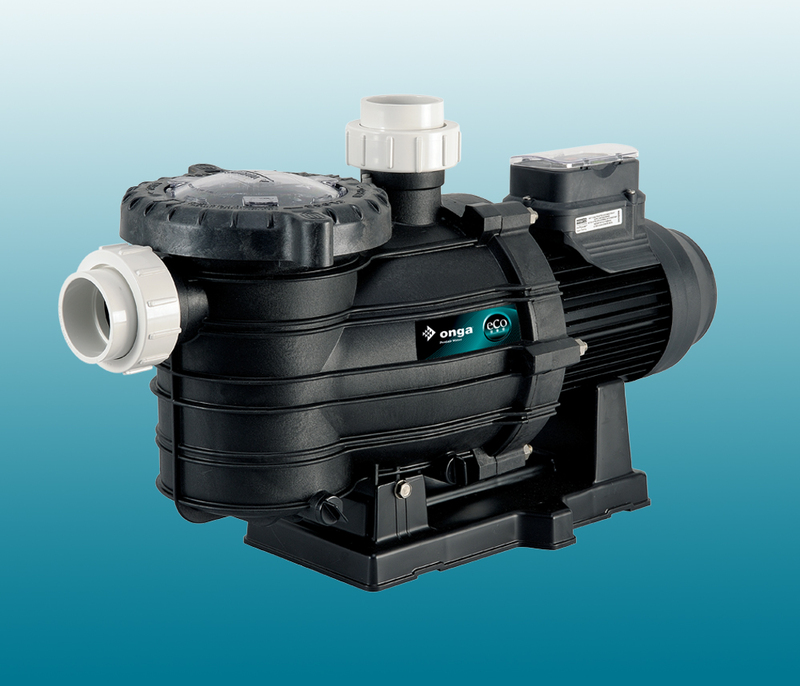 The Onga Eco800 is the ideal pump for new or existing pools. Utilising advanced hydraulic design and the latest technology in permanent magnet, variable speed motors, the Onga Eco800 has the perfect combination of efficiency and performance. The Onga Eco800 delivers energy savings and the power when you need it. You will also have the peace of mind that you are doing your bit for the environment and reducing your carbon foot print. The Onga SilentFlo is an ultra-quiet, high-efficiency, self-priming, medium head pump in 0.75hp through to 2.0hp with an extra large, integral hair and lint strainer. SilentFlo is precision moulded with Pentair's innovative thermoplastic composite resin that is not only tough and highly corrosion resistant but is designed to dampen the noise created by the pump giving ultra-quiet operation. Silentflo features a high quality mechanical seal, stainless steel shaft and fasteners which will ensure that this pump will give top performance and reliability for years to come. The Leisuretime range of solar heating pumps are specially designed to handle hot water generated from solar heating banks. They offer unique corrosion protection with an electrophoretic coated end-shield. Sized from 0.5hp to 1.0hp to meet most solar heating requirements. PX5 Totally Enclosed Fan Cooled Motor (TEFC) - protects against water and dust whilst keeping the motor cool. Built in on-winding thermal overload motor protection. Self aligning barrel unions - Onga’s unique 5 degree self-aligning barrel unions make pipework connection a breeze (40mm/50mm included). Stainless steel shaft and mechanical seal.